Look out 2014 Winter Olympic Games. I am officially announcing my next career goal of becoming an Olympic Curler. Perhaps it seems crazy that I could become a world renowned athlete in just four years.. or perhaps it’s crazy for me to ignore my life’s calling. On March 7, 2010, I will begin my career as a curler at the Triangle Curling Club in Raleigh. They are having a $10 open-house slash begin-your-new-life-of-throwing-forty-two-pound-rocks-down-ninety-three-feet-of-ice-to-a-target-known-as-the-house session. 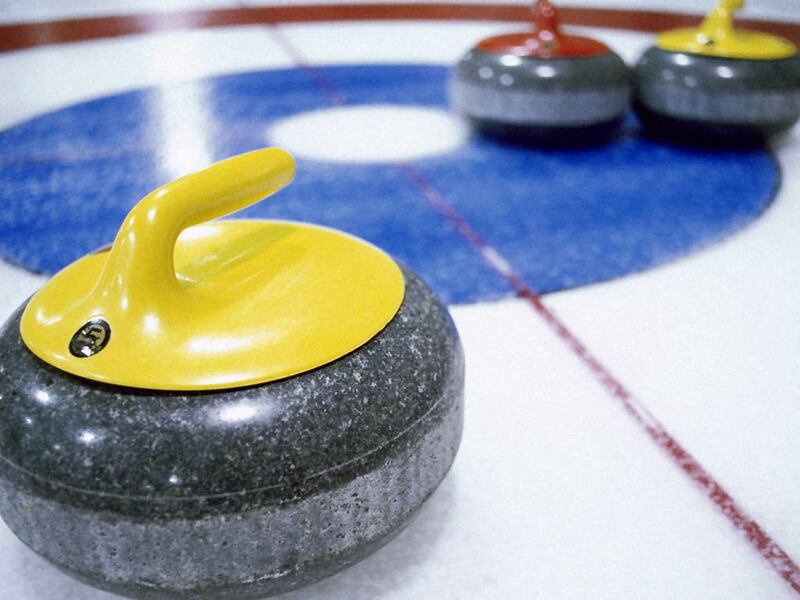 When I curl my first ever stone and park it on the button (2-foot bullseye in the middle of the house) the instructors will demand that I keep honing my skill to be Olympic-ready in ’14. Soon thereafter I’ll perfect putting up corner guards, takeouts, hit-and-rolls, double takeouts, bending around guards, and the classic draw to the button. After that I will focus on my sweeping techniques in order to temporarily melt the ice in front of the gliding rock to make it hydroplane straighter and faster. After I’m an expert thrower and sweeper, I’ll spend my days studying pictures and strategies of the wonderful game. I’ll emerge from it all just in time for my debut in Russia. John Shuster will have thought he’d be a lock for the skip (captain of the 4-man team), but he’ll be sadly mistaken. He can throw third. Sorry, but I’m clutch, he’s not. No hard feelings. So I just thought I’d go ahead and announce my incredible journey here first. It’s going to be a lot of hard work and dedication, but somebody has to standing on the hack in the 10th end of the gold medal match in 2014. That somebody will be me. ~ by Peyton Lea on February 23, 2010.